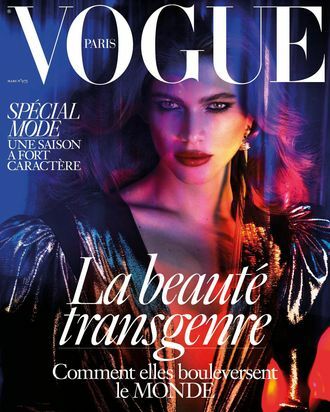 “This cover is about the importance of [human] rights, and that we still need to make progress on an awful lot of stuff,” French Vogue editor in chief Emmanuelle Alt told American Vogue. The accompanying story features Sampaio modeling the latest spring collections, photographed by Mert Alas and Marcus Piggott. We can only hope for more fashion spreads like this on our side of the Atlantic.